We’ve been following a Keto lifestyle since May and have gotten fabulous results. If you’ve done Keto for any length of time, you know that it’s not always cheap. As a family of 6, I’m always looking for ways to save money that are simple. Our grocery budget is one of our most significant monthly expenditures. As a busy mom, I don’t have time to cut coupons (even though I wrote a book about it years ago), shop around at multiple stores each week, or even price match. I’m already barely keeping my head above water, so finding ways to save without losing my mind or requiring a significant investment of my time is important. When looking for ways to eat Keto on a budget, I’ve found several ways to save money. Even if you just follow one or two, your savings can be significant over time. 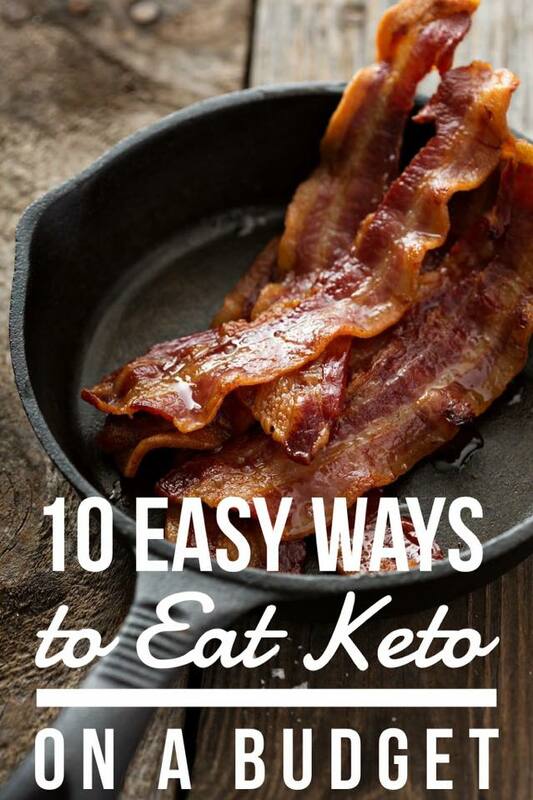 I’ve included 10 easy ways to eat keto on a budget below. Vitacost is an online health store carrying over 45,000 different products such as healthy foods, vitamins, and supplements at savings up to 50% off retail. There is no membership fee, and free shipping is offered on orders $49 and above. If you’d like to give it a try, click here for $5 off your first order. Thrive Market is a membership community that uses the power of direct buyers to give members wholesale prices on healthy products they love. To get started, you create a membership account for free and instantly receive 15% off your first order. With your first purchase, you’ll start a 30-day membership trial. From there you can determine how valuable the membership will be to your Keto way of living. Many people find that the savings far outweigh the membership cost. Amazon Prime is one of my very favorite ways to shop online. When you’ve got four kids (two of those being three yrs old and younger), you love having things delivered to your front door. It’s super easy to order keto nonperishable items online through Amazon. Since I am an Amazon Prime member, most everything I buy ships for free with 2-day shipping. Amazon Subscribe & Save is a fabulous way to stock up on items you regularly use that are set on a shipping schedule so that you never run out. You can choose monthly, bimonthly or another interval. You don’t have to take the time to reorder, instead, the items that you have added to your subscribe and save list show up at your doorstep at savings up to 15% off. Shopping weekly grocery store sales will save you money. Grocery stores generally offer sales each week on different meats. It’s best to purchase what is on sale each week, and either plan your menu around that particular offering or freeze for later. In the long run, your savings can be significant. In addition to the grocery store offering weekly sales on meats, you’ll also find the same for veggies. Shopping for veggies on sale and in season will garner the most savings. Also, in the summer months, I shop at Farmer’s Markets, a local Amish farm, and roadside veggie stands as well. I create a very lazy meal plan each week then only buy those items I need. Otherwise, I mindlessly shop at the grocery store and fill my buggy with foods that aren’t necessary. By planning in advance, I buy the produce we need and then am intentional to cook the foods we bought and eat leftovers. You could even go a step further and meal plan around what is on sale that week by using the grocery store circulars to plan your meals. As part of the Keto life, you’ll most likely use a lot of butter, cheese, heavy whipping cream, cream cheese, salad dressing, etc. By purchasing these items at a wholesale club, you’ll be able to take advantage of bulk pricing. It’s also nice to keep these items stocked so that your weekly grocery shopping trip is cheaper as you’ll primarily stock up on items that are perishable. In my opinion, grocery shopping online is God’s gift to busy moms. I had no idea how wonderful it would be to shop from an app, then sit in my car with the babies while the associate loaded my groceries. Hello? Can it possibly get better? Yes! I also save at least $50 a week on our grocery trip since I’m only purchasing the items we need and am not distracted or tempted visually by all the other items in the store. Also, I’ve gotten at least an hour of my week back, which means a lot to this busy mom. It takes me less than 10 min to shop online compared to at least an hour, possibly two in store. For $10 off your first online order at Walmart, click here. I was surprised to see that from time to time my local Big Lots Store will carry an array of gluten-free options that are helpful when you are following a Keto Lifestyle such as almond and coconut flour. Since they are closeout items, the prices are significantly lower. Of course, they don’t carry these items in stock all the time, but it’s worthwhile to check if you happen to already be in store. It’s always helpful to shop from a keto grocery list when getting started. However, make sure to review any lists that you find carefully before going shopping as it will include all the items that are Keto friendly. Just because it’s keto friendly doesn’t necessarily mean that you will need everything on the list. For example, Xanthan Gum might come in handy one day, but it doesn’t mean you need it initially. Another example is cooking oil. Just because several different kinds are approved, it doesn’t mean you need to stock them all. MCT oil, Coconut Oil, and Olive Oil are sufficient when getting started. Stick to the basics, then buy extras as needed. Even though we shop at a discount warehouse to purchase keto foods in bulk and grocery shop online, shopping at ALDI also saves us money on our grocery budget. Typically, we do one big warehouse store purchase every 4-6 weeks. In the meantime, if we run out of any of our Keto bulk items, or if I need to pick up something quick for dinner we make an ALDI run. Overall, ALDI’s prices are up to 40% off compared to other grocery stores. I love that we can get in and out quick as well. One of the scariest things about changing the way you eat is the cost. I’ve gone from eating conventionally to organic to gluten free and finally to ketogenically. Each time, I experienced some level of anxiety around the unfamiliarity of shopping and cooking a new way. I’m not sure that the anxiety will completely go away but articles like yours certainly take some of it away. Thanks for sharing! Thank you so much for your kind words, Nancy. I am glad I am not alone in my personality. For years, I saw it as a hindrance. Now, I realize that although there are many tasks that are challenging for me, there are gifts as well. I’m glad your family enjoyed the pork chops. My family eats a lot of my cooking, but I don’t restrict carbs from them. I just don’t want my kids to feel like they are on a diet. I try to instill healthy habits and learning to listen to natural hunger signals. At the same time, naturally, I have changed my grocery shopping to include more fresh foods and less processed so overall everyone eats fewer carbs if that makes sense. I’m so happy to help. Blessings to you for taking the time to comment. 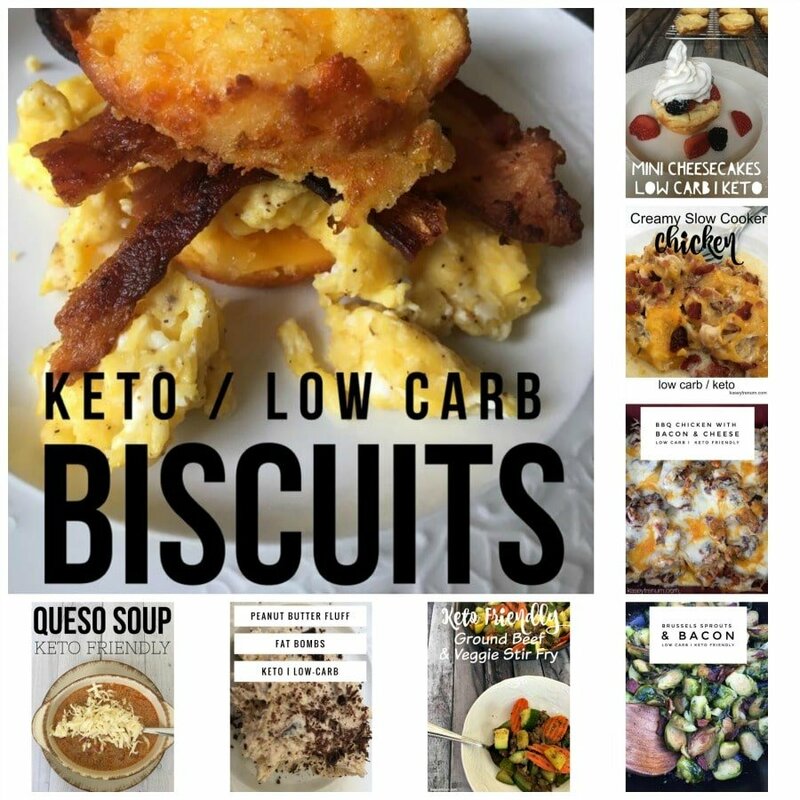 We are keto beginners, so your site was very helpful! Thank you for sharing, I’ve been thinking about going on etogenic diet for a , but my husband is such a picky eater, lol. I’m if there is one near ou, but we shop at , it’s an employee owned store that has regular and bulk items, because the employees own the store, they determine the prices, and they don’t have a Cooperate office to answer to!! I am glad it was helpul. Been on low fat diets for years ..no wonder I don’t lose weight…everything low fat seems to be high sugar …who knew..I’m going to give it a good try…think I can do the high protein even though I’m not a big meat eater..fingers crossed …. I understand. I used to eat low fat too. This was super helpful since I am a retired senior on a tight budget. Thanks for sharing!!! Kasey, where can I find the meal plan you talked about in the video? Thank you for your help. There are links to the other meal plans at the bottom of the list. It is coffee with fat added to it. There are many different ways to make it. Here is how I make mine. Hi I’m trying to lose weight on on the keto diet and have so far lost 6lbs. Awesome! Congratulations on great success.